The design and construction of aluminium commercial doors meet the requirements of any high traffic building. Aluminium hinged, sliding, manual or automatic doors suit any shop, office or public building that has large numbers of people using the doors on a daily basis. Types of aluminium commercial doors. There are several types of commercial aluminium doors available. In choosing the right door for your premises, it is worth looking at the door usage and what its primary function is. Multiple uses as a central door, access control door, fire exit door or ventilation door. Designed and constructed for high traffic and intensive use. The facility to open in and out if needed. Meets disability and Equalities Act requirements. The commercial door types available rely on the closing mechanism they use and how they hang on the door frame. Centre hung doors use a concealed overhead closer hidden in the door frame. A centre hung door has no hinges and sits on a threshold pivot. These are the most popular types of aluminium commercial doors, widely specified for their choice of hardware and reliability. Benefits of centre hung doors. The pivoting action lets doors with a retractable lock swing in and out. Ideal for schools, corridors or shops. Hidden door closers prevent abuse or vandalism. For double doors, equal or offset doors are possible. A low threshold provides convenience and disabled access. Accept virtually any lock, access control, maglock or exit device. Centre hung anti-finger trap commercial doors. Anti-finger trap commercial doors are virtually the same as centre hung doors, with one important feature. The hinged side has a rounded door stile that closes the gap between the open door and the door frame. This prevents trapping fingers in the door on closing. Benefits of anti-finger trap doors. Highly recommended for high use doors in regular use. Widely used in schools, nurseries, hospitals and offices. Anti-finger trap is available even on doors with panic bars. All the benefits of a centre hung door with a valuable and cheap safety feature. Rebated commercial doors feature heavy duty hinges and a face fixed door closer. Commercial doors have no set weather performance standards, rebated doors do offer some improvements in weather resistance. Recommended for plant rooms, bin stores or for doors primarily locked shut. An optional rebated threshold improves the weather resistance at the bottom. A cheaper alternative to internal timber doors, using aluminium panels. Very durable and reliable door for boiler rooms, cycle stores or computer rooms. Commercial doors with louvres or aluminium panels available as centre hung, anti-finger trap or as rebated doors. Suits non-personnel areas or where doors need ventilation and kept mainly locked. Benefits of aluminium louvre and panelled doors. All the hardware and functionality of centre hung doors is available. A great alternative to steel doors where the clients retain the same door aesthetics throughout a building. Ideal for plant rooms, bin stores, cycle stores or internal use. Wide choice of louvres or aluminium panels is available. What is the right commercial door for your building? To help you choose the right type of commercial door for your project, we have put together an at-a-glance table showing which kind of door we recommend, depending upon the intended use. Contact us for information, prices and suppliers of aluminium commercial doors. 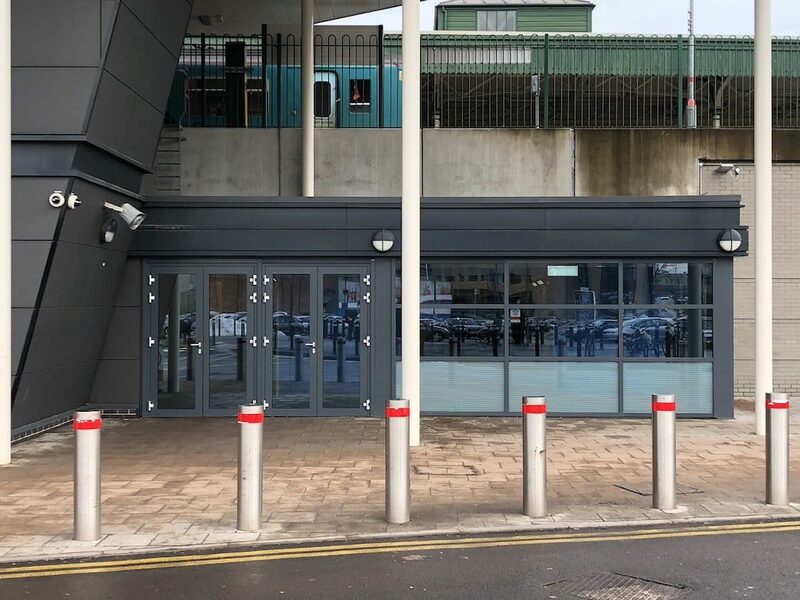 If you have commercial premises, office or retail unit, or are a facilities manager, contact us today for information, prices and suppliers of aluminium commercial doors.